Off to Hawaii with Momma! Momma, Jordyn and I getting ready for the Hawaiian party. 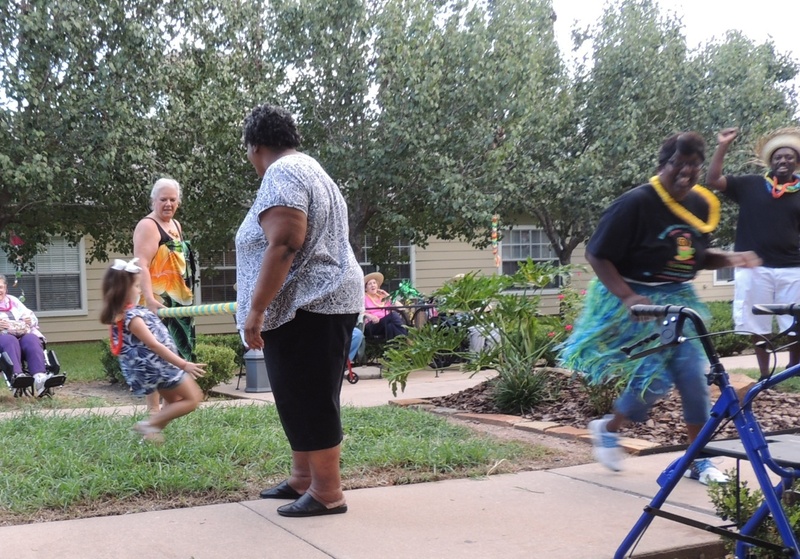 In the fine fashion of Elmcroft Assisted Living we all enjoyed Hawaiian night! The assisted living home plans occasional “special” nights for the residents and I knew momma would be interested in the Hawaiian night. Hawaii is her all time favorite place and while she does not respond or react to many things these days, her eyes lit up with recognition when I started to mention Hawaii a few weeks ago. Lauren and I had planned to go as I still remember last Thanksgiving when the residents who did not have family seemed so woe begotten and lost. Plus, we could not argue that we had nothing to wear since we had a trip to the islands just months ago. At the last-minute, Ally agreed to come with Kendyll and Jordyn and we all embarked on a nice evening. Mom swayed along with the Hawaiian music, seemed to enjoy the pageantry of Leis and island food. I tried to convince Ally and Lauren to get up and do the hula but they were not going along with my plan. 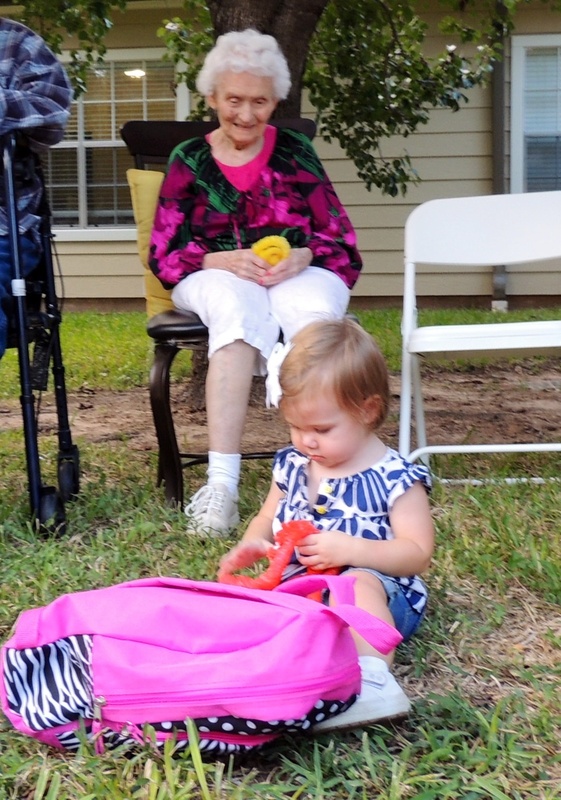 Momma watching her youngest great-grandchild, Kendyll. Jordyn took on the staff in a limbo contest and won it all. Of course, she was half the size of the rest of contestants! Momma had fun and enjoyed her brief trip to the islands. And as Ally said, and I concur, it was the most festive Friday night she has had in awhile! 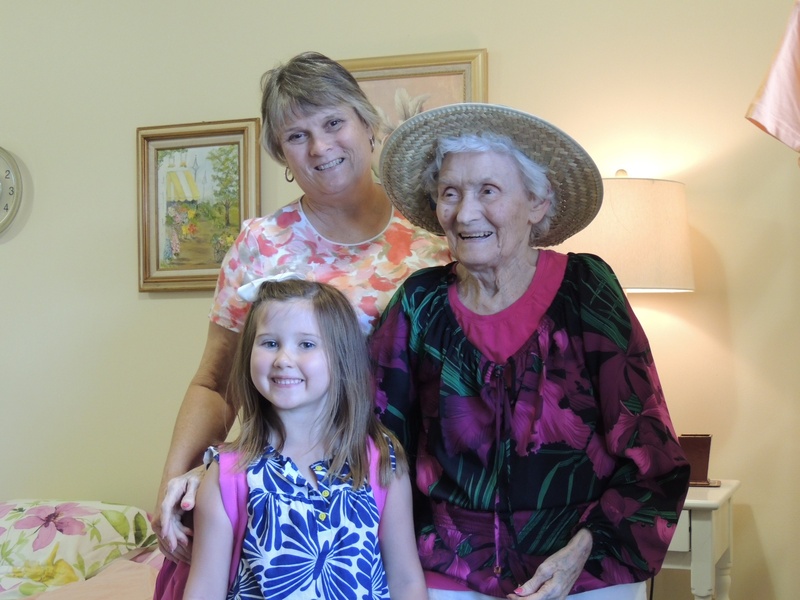 This entry was posted in Losing my mother-the advancement of Alzheimers, Uncategorized and tagged alzheimers, assisted living, dementia, elder care, parenting your parent by Exechorseluver. Bookmark the permalink. These special nights at senior homes are always fun. It looks like you had a good time, and the limbo winner is darling. Your mother looks very happy. Oh so many memories… Especially our luau. Only your dad could fly in authentic hula dancers for the entertainment. Only my dad would did a hole in the back yard to roast a pig in! Love and hugs to Midge!!! !